Located deep underground in a secret facility, The Assembly is a collection of doctors and scientists working on controversial experiments far from the prying eyes of government regulations. The Assembly is also the newest walking simulator-style game to hit Xbox One. With nice presentation, a fascinating story, and some solid puzzles, it is one of the better walking sims we’ve played so far. See all of the details here in our full Xbox One review of The Assembly. 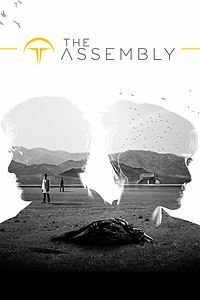 Originally released as a VR title on PC and PS4, The Assembly comes to Xbox One as a standard TV display game. This may seem like it makes this version lesser than the others, but this isn’t exactly the type of game that “needs” VR to stand out. 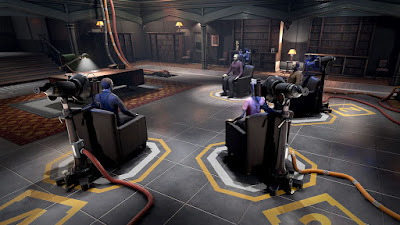 In fact, by stripping away the VR gimmick The Assembly has more room to show off the things it does well, such as the puzzles and storytelling, without the extra tech baggage and expectations and is likely a better experience because of it. Judging by the PS4 and PC reviews it definitely seems like it is a better experience in standard mode, at least. You play as two playable characters in The Assembly with concurrent storylines. Caleb Pearson is already an employee at The Assembly but has discovered some shady and unethical practices that are extreme even for a lab that is intentionally hidden from regulations for exactly those purposes, and is trying to escape with the information. The other character, Madeline Stone, is an incoming recruit with a bit of a troubled past who has to pass a series of tests before she can join The Assembly. In terms of gameplay the two storylines are quite different even though both take place in a first-person view and focus on puzzle solving. 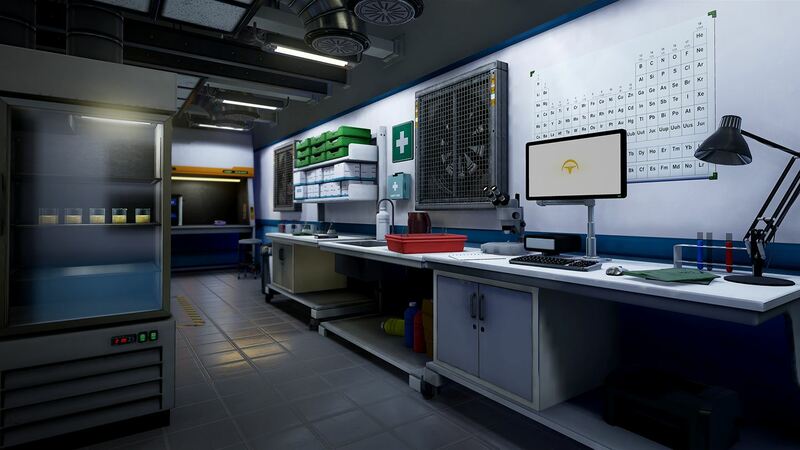 Cal’s levels take place in the laboratories and offices of The Assembly and you’re free to explore at your leisure as anyone that would suspect him is watching Madeline’s trials. In these levels you can search through people’s desks for computer and door passcodes, find non-essential information tied to side quests (and achievements), and do some light puzzle solving such as reprogramming an A.I. with different combinations of server cores. Figuring out passcodes from context clues and solving the other puzzles in Cal’s levels is very satisfying because it all feels surprisingly real and believable. Madeline’s levels are made up of a series of simulated tests that task you with first doing simple block puzzles before moving on to more interesting things. These tests include solving a murder mystery or allocating resources during a global virus outbreak, among other things. These puzzles are more intellectual than the practical real world puzzles on Caleb’s side, but just as fun to solve. My only real complaints about The Assembly are that there aren’t enough puzzles overall and that the puzzles here are easier and more straightforward than I would have liked. For a game that seems so clever and smart at the outset, the puzzles are actually disappointingly easy and obvious. The murder mystery in particular was a letdown because of this. The puzzles are still enjoyable, but I was just hoping for more of a challenge. The Assembly also isn’t very long – you can beat it well under 4-hours – so I also wish there were more to it. See our reviews of Firewatch, Nevermind, and Dear Esther for other games similar to The Assembly. The presentation in The Assembly is quite nice overall. The game uses Unreal Engine 4 so everything looks good, though some environmental objects have surprisingly low-res textures and can look pretty bad if you get up too close. Most of the time, however, the game is very sharp and clean looking. The sound is also well done with some fantastic voice acting that make Cal and Madeline likable and easy to root for. All in all, The Assembly is a pretty solid walking sim even if I do have some nitpicks. The story is interesting, exploring the labs is fun, and the puzzles are generally good despite me wishing they were more challenging and there were more of them. I also have to admit I probably partially like it simply because it is a “smart” game that doesn’t rub your nose in it constantly the way a game like The Witness does. Cause, man, screw The Witness. I don’t exactly love the $20 asking price for The Assembly, since it is pretty short, but you should definitely give it a look when it hits a price you’re comfortable with. There’s a lot of good stuff here that is absolutely worth checking out for walking sim and puzzle fans.